We all love an excuse to talk about our college major — why not have a group of the city’s best musical improvisers sing all about it? 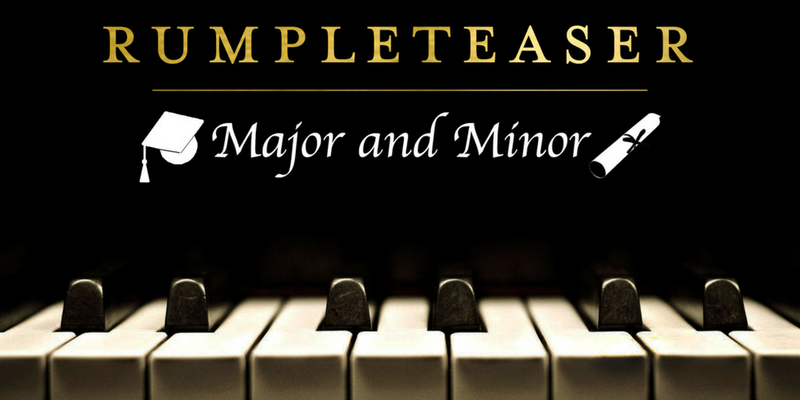 Join Rumpleteaser as they interview an audience member about their college major, minor, classes, and final thesis, and then use all of it to inspire and create a complete musical right before your eyes! Everything will be made up on the spot, from the music, to the lyrics, to the sweet, sweet choreography. Finally, something fun about college! Rumpleteaser is: Eric Gersen Jeff Hiller Michael Hartney Jessica Morgan Zack Willis Hannah Solow Jake Smith ABOUT RUMPLETEASER: Eric Gersen is a comedian and musician from New York City who once played piano for Mariah Carey. He is a performer and teacher at the Upright Citizens Brigade Theatre (UCBT), where he has performed on the theatre’s Harold Night, and currently performs with Rumpleteaser, which he directs and musically accompanies. He has performed his solo show, Gersenality: One Man’s Search for Google Greatness, all over the country. He is the writer, lyricist, and composer of the one-act musical Seventeen Seventy-Something, of which he currently developing a longer version. He is the Associate Music Director of the Story Pirates, and their new Podcast, as well as the co-host and musical guide for the UCB Podcast Headplace. He is a composer for Improv Everywhere, and he has composed music for various TV Shows including TruTV’s Impractical Jokers, as well as web series, podcasts, short films, and videos across the internet. Jeff Hiller is a regular performer at the UCB Theatre in both NYC and LA. TV: “Unbreakable Kimmy Schmidt”, “Nightcap,” “30Rock,” “Psych,” “Crazy Ex-Girlfriend,”“Community,” “Broad City,” “Playing House,” “The McCarthys,” “Difficult People” “The Real Hotwives….” Film: Ghost Town, Morning Glory, The Little Tin Man, Adam, Set It Up and The Widow. NY Stage: Bloody Bloody Andrew Jackson (Broadway), A Midsummer Night’s Dream, The Tempest and Love’s Labour’s Lost (Shakespeare in the Park); and Silence!, the musical parody of The Silence of the Lambs in both New York and Los Angeles. Regional: Bucks County Playhouse, La Jolla, The Old Globe, Goodspeed Opera. Michael Hartney is a writer, performer, director, and teacher at the UCB Theatre in New York, where he can be seen on Harold Night and hosting Characters Welcome, a house team he co-created. In 2016, he was selected as one of Comedy Central’s Comics to Watch. Film/TV credits include The Break With Michelle Wolf, 30 Rock, The Who Was? Show, and Small Time. He was also a staff writer on TV Land’s late night show Throwing Shade. Michael was in the original cast of School of Rock the Musical on Broadway, where he’ll return for a brief run this summer. Jessica Morgan is a New York City based actress, improviser, educator, and director. After receiving a BFA in musical theatre from Missouri State University, Jessica relocated to New York to begin her education at the Upright Citizens Brigade Theatre. Jessica currently performs at the Broadway Comedy Club with Blank! The Musical, a full length improvised musical, and at the Upright Citizens Brigade Theatre with the weekend team Bucky and with the musical improv team Rumpleteaser. 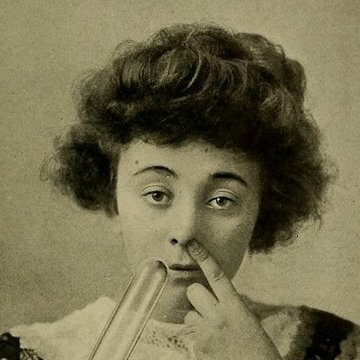 Jessica is also a member of the Upright Citizens Brigade Touring Company. With TourCo, she not only performs at universities and corporate events, she also teaches workshops. Jessica loves nachos. Zack Willis graduated from Emerson college with a BFA in Writing, Literature, Publishing. He has been a house performer at the Upright Cotizens Brigade since 2011. He has toured with UCB’s TourCo performing comedy since 2012. He has appeared on Late Night With Seth Meyers, College Humor, Funny or Die, and Above Average productions. Hannah Solow is an NYC based actor, singer, writer, and dim sum enthusiast. You can find her performing regularly at the Upright Citizen’s Brigade with musical improv team, Rumpleteaser, and house sketch team, The Gift. You can also find her performing around town with Jon Wan, as the musical comedy cabaret duo, Kiko & Tuna. She has performed at The Public Theater, Jazz at Lincoln Center, the Orange County Performing Arts Center, and the Lucille Lortel (as a crocodile made of trash) among other places/basements. She received her BFA in drama from New York University’s Tisch School of the Arts. She teaches improvisation to students pre-K through fifth grade in both Manhattan and Brooklyn. They are funnier than she is. www.hannahsolow.com Jake Smith is a New York based Actor, Improviser, Writer, Musician, Singer, and Voice Over Artist. He performs regularly with his improv teams Rumpleteaser (UCB Musical Team) and Scrambled Legs (9 time UCB Cage Match Winner). He wrote and starred in the short films Decamping and Wake (Official Selection Golden Door Film Festival, Big Apple Film Festival, Pasadena International Film Festival, and more). He has appeared nationally in advertisements for SUBWAY and Sculptapalooza. Jake has studied acting, improvisation, and sketch at the Upright Citizens Brigade, The Magnet Theater, and the Barrow Group, and HB Studios.